But something strange happens every day. She just doesn't remember it. 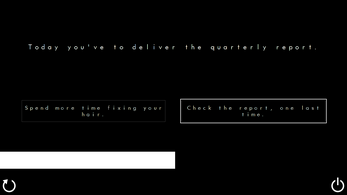 You can beat this game in five minutes. Or you can play it forever. Choose wisely how to spend your time. In other words, there IS an ending in this game. If it keeps looping, you're doing something wrong. ATTENTION: This game must be experienced with sound enabled. Five Minutes a Day features immersive and realistic sound effects, aimed to stimulate your visual thinking brain area. Spaces, colours and images will be projected directly in your mind by the simultaneous work of texts and sounds. What a eerie and delightful little game! Even though I beat it on the second try, the ending was satisfying. Using just audio (very realistic sounds at that) and still being able to create this very tense, dark and stressful five minute game is extremely impressive. This was an interesting concept. I have no idea if its even possible to complete it. So I did a playthrough of your game and I have got to say that it is pretty awesome. I know you have probably stopped development on it but for future reference I would like to say that the only problem I had with the game was how slow it was at times. If the player could be taken to the next scene as soon as they clicked then this game would be perfect. Check out the playthrough here. That's a great suggestion, but since the actual playthrough has to last about 5 minutes, I think there would be some issues regarding how to skip to the next "scene" (or fast forward the previous one) without breaking the uninterrupted "5 mins flow" (in a way, it can be seen as a hardcoded looping system with no insert points). I totally understand the 5 minute flow but it can get boring at certain parts when you are just waiting to move on. Maybe set the timer of each scene the same lenght so players know how much time they have to select an option. Still a great small game to play. Very nicely done, great sound effects. just playes and loved, by the way i know i look mad and a little crazy in the video, but that was just temporary for not gettinhg it right. This was awesome! great ambiance and all! Good game honestly! here a little play through of your game, the quality of the webcam and commentary maybe crappy but it's still good. Anyway good job and let me know about your other games, Thanks! Some of them (mostly the oldest ones) were only available for sale 'til yesterday. Now they're all completely free. Heyo Andrea! 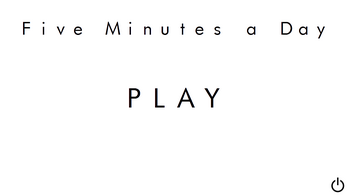 Just uploaded a play through of Five Minutes a Day! I loved it! The game was very enjoyable and creative. And I can't wait to see some of your other games you have in store! It gave me a lot of positive feedback and made me really proud of it (it got plenty of press coverage on sites like pcgamer.com and warpdoor.com ...apart from being featured on itchio's front page for months). As a "thank you" gift for all the sleepthrough's success, I released a quick clickteractive novel called "Please, read me." It's a rather strange and weird experience that says much more than what it seems to say. Just take a careful look of your surroundings before, between and after your "readings". Let's say it's a graphical "expansion" of the narrative concept conceived for my text-driven trilogy. Oh, thanks again for the video! I had high expectations for this game because i enjoyed Sleep Through ! Of course a Lets Play out of this Short game! 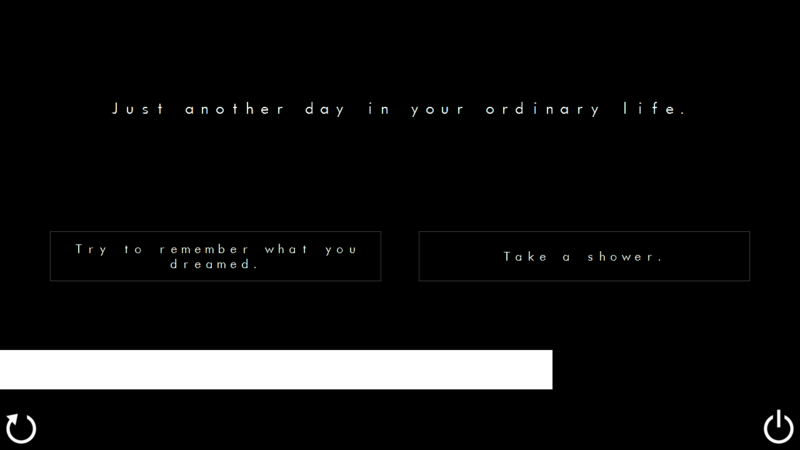 "Five minutes a Day" was made before "Sleepthrough", which is my latest "big" game. I made a trilogy of "text-driven" games before releasing "Sleepthrough", and "Five Minutes a Day" was the most extreme of the three (with absolutely no visual elements in it). The other two are "Widemare" and "That Spongy Thing On Your Tongue". Before them I also tried to exploit the opposite concept: a "no-text-at-all" gameplay, where the visual aspect is the only vehicle to convey emotions and meaning. I'm talking about "In Memory of the Eternity". Again, thanks for your interest in my games. I hope you'll keep enjoying all my future releases. Oh wow I finished it in five minutes! I must be doing something right because I made it out in under 10 minutes but what an exciting 8 minutes it was, would play again in a heart beat. 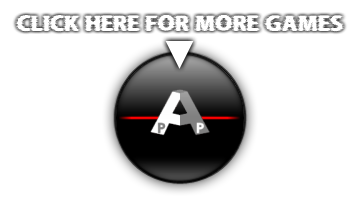 Looking forward to playing your newest and other games. My latest game, sleepthrough, which is also my biggest project so far, is getting a lot of positive feedback. This was an exciting experience! I recorded it and I didn't get the right path the first go. I definitely think the next round after the first, when you realize you made a mistake, makes the following go much more exciting. Here's a link if you're at all interested. Thank you so much for this game! Sure, I am! Thank you for the video! Thanks for the suggestion! I'm definitely going to take a look! Hi! I really enjoy your games. I've even done a video for this one! I only have a small channel but had some positive response already. Keep up the good work! 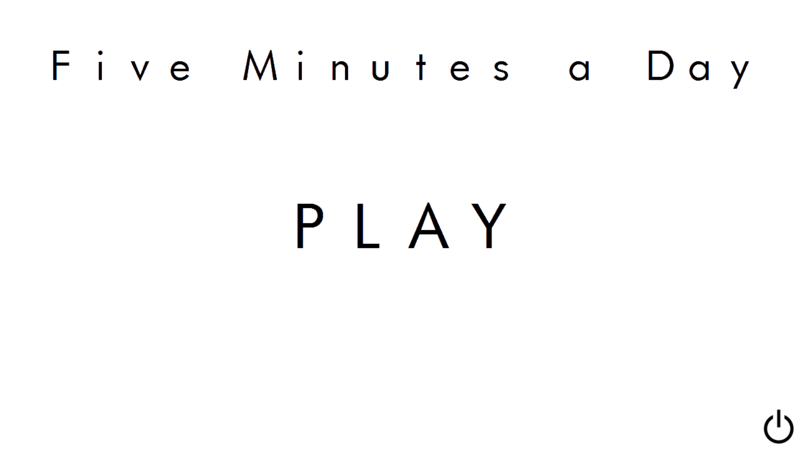 Let's Play 5 Minutes a Day! By the way, I've really enjoyed your video. You got the correct path on your first try!